A full listing of our generous donors and tribute card honorees appear each year in YSEF’s annual reports. Click here to review our list of donors. 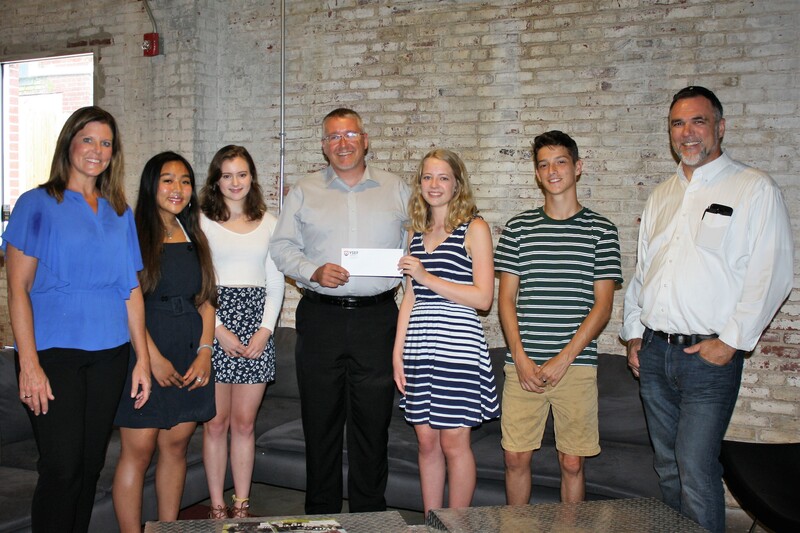 The Jeffrey D. Sindicich Fund The Jeffrey D. Sindicich Foundation has donated $32,000 over several years to support YSEF’s endowment held at the York County Community Foundation. The fund is in memory of Jeffrey Sindicich, York Suburban graduate class of 1986. The Sindicich Foundation formed in 2000 as a way for Jeff’s friends and family to honor his memory through charitable contributions to local organizations that best support his interests and beliefs. In 2015, the endowed fund was able to award it’s first grant utilizing fund proceed income. The Richard Guyer Fund The Richard Guyer Fund was started in March of 2009 in recognition of Coach Guyer’s retirement as head swim coach at York Suburban as well as in honor of the assistant coaches who have stood by his side and supported the team over the past 41 years. Collectively, they have established a swimming legacy at York Suburban. More importantly, these coaches consistently supported academic excellence at York Suburban High School. That is why establishing a named Fund within the York Suburban Education Foundation was very appropriate. The ‘I Think I Can’ motto of the swim team, based on the book, The Little Engine That Could, is part of the legacy established by Richard Guyer. Therefore, monies in the fund will be directed toward fulfilling this motto. While the monies within the Richard Guyer Fund will not be legally restricted, it is the stated guidance that the monies be used for activities that promote team building and enhance the psychological mind set of York Suburban students to achieve excellence in all that they do. Strings for Students Special Purpose Fund In 2015, utilizing YSEF’s Special Purpose Gifts Policy, YSEF partnered with York Suburban parent, Mindy Hamme, to act as the financial agent for accepting the 24 community donations she worked to raise totaling $6,625.00 to purchase string instruments for the York Suburban Music Department. The intent is for the instruments to be utilized by students who might not otherwise have the opportunity to play. 16 violins (cases and bows), 5 cellos (with bows), 11 extra bows, 7 violas (cases & bows) and 2 basses (with bows) were purchased and delivered during the summer to be distributed to students beginning the 2015-16 academic school year. A generous in-kind contribution from Joe Cali, owner of Kagan & Gaines Music Company, Inc. of Forest Park, IL also made this program possible.